I wanted to write about this extraordinary man who was beatified in 1988 because it hits home to me... who used to attend regularly the Mass at the 9th and final mission he founded (San Buenaventura) before his death... a few more were founded by his order later. 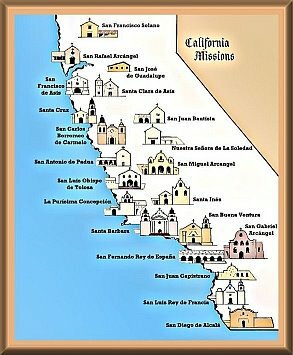 Also, Hope lives right in this region and Sia grew up in California so all of us must have a bit of a soft spot for Father Serra who is largely responsible for the spread of the Faith in the Western United States... converting thousands by his simple message, austere lifestyle and evident love of God. Father Serra pray for us!